Norwich is saved. We’ve finally done it. After an age looking for suitable premises in Norwich for our new firework shop and we have ended up at the first place we looked at 5 years ago, it was always destined to be a firework store. 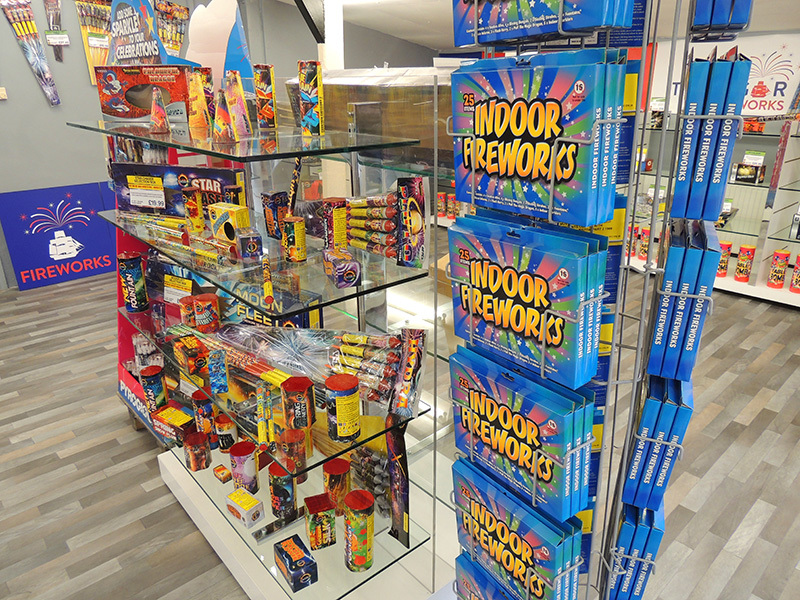 We have 1000 sq ft of firework display area with hundreds of fireworks on view. We stock a complete range from a single sparkler to a £150 individual firework, from a £10 garden selection box to a £2000 DIY display pack. We know what it takes to make a great display for all budgets and will guide you through the selection process helping you understand which products compliment each other and how to make your celebrations look amazing. 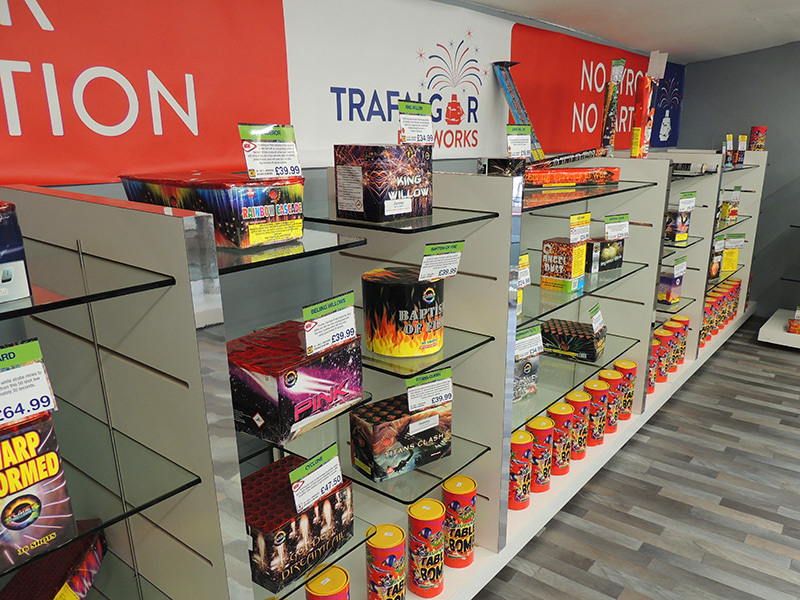 You can view all our fireworks on our plasma screens so you can buy with confidence knowing you’ll have a great display. 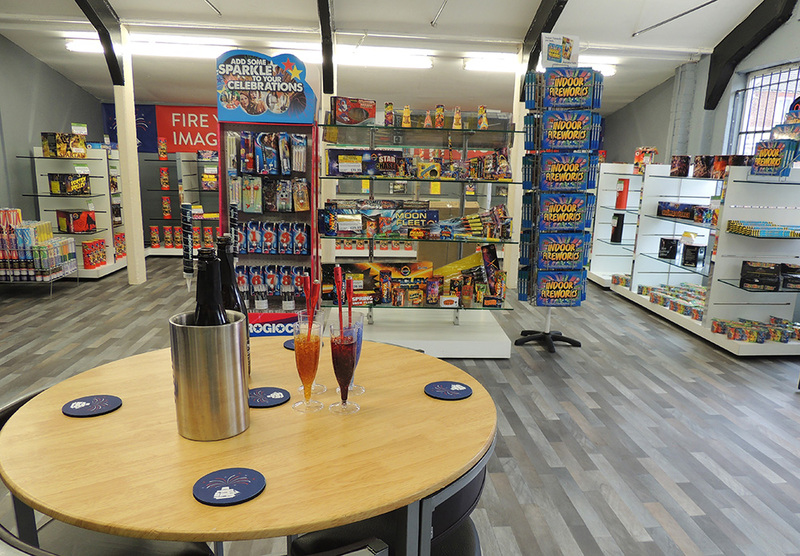 We have off road parking directly outside the store, so it is quick and easy to pop in so we would love you to have a cup of coffee and lets talk about all things fireworks. We would love to know what you think so drop in and say hello to Warren and the team. Not sure where we are? Then download our How to Find Us PDF to help.